Do smartphones contribute to the breakdown of long-term relationships? And could your own smartphone use be grounds for divorce? We live in a digital age, where nearly everything we do is logged on our smartphones. This is becoming more apparent in our relationships too, where smartphones are starting to dominate how romantic relationships are formed, how we act in them and, ultimately, how they breakdown. Indeed, research has shown that roughly 20% of relationships start online or through some form of dating app, and this number is only set to go up. For the LGBTQ+ community, it’s estimated that up to 70% of all relationships start through a smartphone. But how do smartphones contribute to the breakdown of long-term relationships and what is their growing role in divorce? Let’s look at the evidence to understand how our mobiles affect relationships and whether behavior on them could be grounds for terminating a marriage. On the whole, smartphones are a fantastic way of meeting new people and forming new romantic relationships: the statistics don’t lie. However, there has been growing concern about how couples interact with smartphones once they’re in a relationship, which can have negative effects. One of the leading causes of relationship breakdown in relation to smartphones is the phenomenon of “phubbing” – which refers to one or both partners snubbing the other with their phone. For example, if you’re at dinner or watching a film and your partner is scrolling through Twitter or speaking to someone on messenger – that’s phubbing! 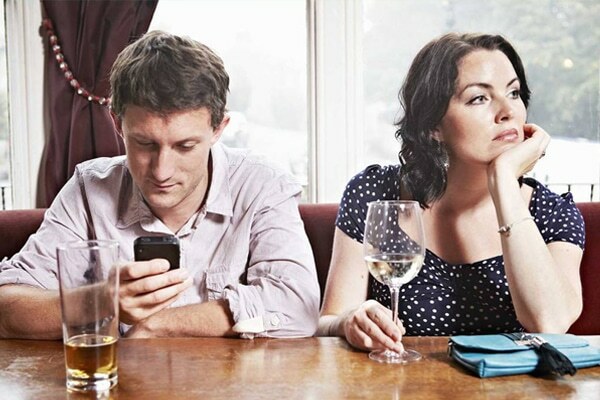 A recent YouGov poll showed that 53% of adults in the Untitled Kingdom check their phone ‘frequently’ whilst out to dinner, which goes some way to demonstrating how people in relationships are disconnecting from each other, even in traditionally intimate situations. Furthermore, research from China suggests that partners and spouses that experience phubbing are more like to suffer from depression and lower levels of marital satisfaction. Whilst phubbing may not amount to an out-and-out reason for ending a marriage – indeed, there is little evidence to suggest that it’s the sole instigator for divorce – it’s very clear that it can add pressure and discontent to relationships which subsequently lead to divorce. Could Smartphone Use be Grounds for Divorce? Legally speaking, it would be very hard to use “over-use of smartphone” as grounds for a divorce. However, that doesn’t mean that the way one spouse uses their smartphone couldn’t constitute grounds for divorce – or at least be a key factor in the reasons for seeking a divorce. One of the most common reasons for seeking a divorce is a fundamental breakdown in communication between spouses. If we look at the example of phubbing, which is essentially a wilful lack of communication within a relationship, it’s easy to see how this could be used as evidence in a divorce. With couples spending less time being intimate and more time glued to their smartphones, it can lead to the feelings of unhappiness that ultimately end in divorce. Another, very obvious, way in which smartphones can contribute to divorce is through emotional (or actual) infidelity. A clear example of this would be one spouse using messaging or dating apps to ‘cheat’ on their partner by downloading Tinder and flirting with other people or simply speaking inappropriately with friends or colleagues over the phone. While this may not constitute the same level of infidelity as actually being physically intimate with someone else, it’s not far off, and can certainly be grounds for divorce in certain circumstances. A famous example of this actually being used as evidence in divorce proceedings comes from France. In 2014, a woman used her husband’s conversations on dating apps as evidence of infidelity, making it easier for her to file for, and receive, a divorce. Obviously, there are several mitigating factors that cannot be directly comparable to every relationship, such as the country this took place in, the severity of the messages and the leniency of the court. That said, it demonstrates that precedent is being set for smartphone use to be considered for divorces. Aside from this, text messages exchanged between spouses can be used as evidence during divorces. For example, if one partner was to send threatening or derogatory messages to another, this could more easily build a case for divorce if only one partner was seeking it. These are just some of the emerging ways in which increased smartphone usage is affecting relationships and impacting divorce. No doubt, as phones become smarter and courts start to recognize their power in everyday life, we’ll see more and more case of smartphones being used as grounds for divorce.